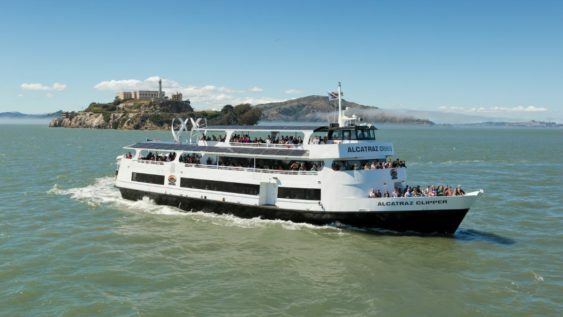 Alcatraz Cruises is running their winter “Buy One, Get One Free” ticket promotion to encourage Bay Area residents to experience the assets that make Alcatraz Island one of the country’s most popular attractions. You’ll get a “day tour” boat cruise to the island from Pier 33, unlimited time on Alcatraz (you can head back on any “day tour” boat that day) along with a 45-minute audio tour of the cellhouse – it’s all included. How to Buy Tickets: BOGO tickets cannot be purchased online. You must call 415.981.7625 or purchase in person at the Pier 33 Alcatraz Landing ticket booth. A valid Bay Area ID is required. Tickets must be picked up on the day of your departure. Locals Only: Only residents of the following 9 Bay Area counties are eligible: Alameda; Contra Costa; Marin; Napa; San Francisco; San Mateo; Santa Clara; Solano; and Sonoma. Step back in time and experience the legendary island that has been a civil war fort, a military prison and one of the most notorious federal penitentiaries in US history. This memorable tour includes: 45-minute audio presentation ‘Doing Time: The Alcatraz Cellhouse Tour,’ featuring actual correctional officers and prisoners who lived and worked on the island; orientation video by Discovery Channel; ranger and docent tours; historic gardens and abundant wildlife.